These adorable uglies prove that beauty is only skin deep, but tasty is forever. 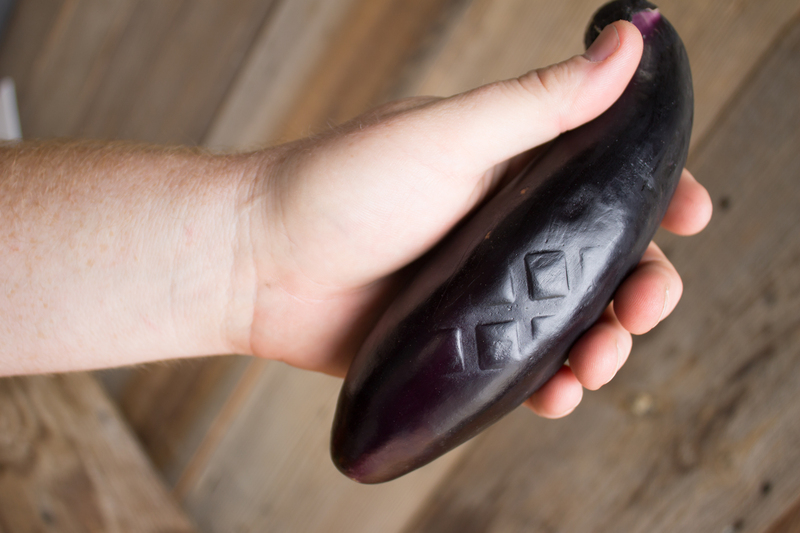 Last week we had a few less than perfect produce items in our FarmBoxes that caught our customers attention, and we thought we’d take a second to talk about ugly produce and our commitment to the movement. Before we get into the movement surrounding these revolutionary fruits and veggies, we should probably understand what we’re talking about. 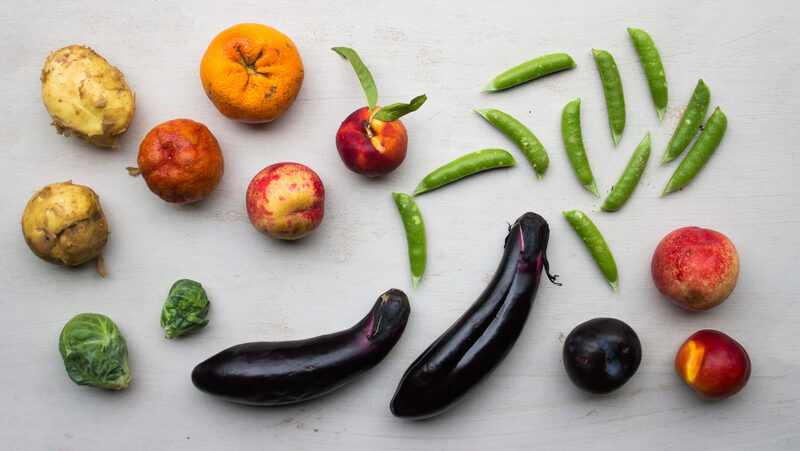 “Ugly produce” refers to any produce item that has characteristics that (supposedly) make it less aesthetically appealing to commercial retailers and consumers. The most common ‘offenses’ are light bruising, discoloration, changes in shape or form, freckles spots, unusual shapes or growths, non-conformity of size, wrinkles, or marks/effects that come from small-farm handling and transportation. It’s important to add that these characteristics do not change at all the fruit or veggie itself, or make them less edible. Other marks like insect damage, bruising that breaks the flesh, mold or discoloration from age is not considered ‘ugly produce’, but bad produce, and is fair to be tossed out. But what about those that are just a little ‘special’? In a culture obsessed with looks, it seems we’ve transferred our photo-ready expectations to the foods we eat, even the most natural organic ones. The unfortunate outcome of our unrealistic expectations is a food industry that throws away a staggering 133 billion pounds of perfectly healthy, delicious produce. The USDA estimated that 1/3 of edible and available food in the United States bypasses the consumer completely and goes straight into the landfill – yep, the landfill! What is the Ugly Produce Movement? The ugly produce movement was started over a decade ago by average consumers just like you over in Europe. Realizing that the produce in the grocers had become suspiciously perfect and uniform, they began to catch wind of all the ‘uglies’ were going mysteriously missing. Slowly more and more customers began demanding the less-than-perfect fruit and veggies be sold sometimes at a reduced price. In 2006 a European campaign “Love Food, Hate Waste” began, and over the course of the decade the EU, in general, pledged to cut its food waste by half within the next decade. France and Germany are leading the way in this movement and have even gone as far as passing legislation making it illegal for supermarkets to intentionally throwing away food. They are now required to donate unsold foods to charity or as animal feed. And the United States? Not surprisingly, we are way behind our European friends as a major food waste offender. 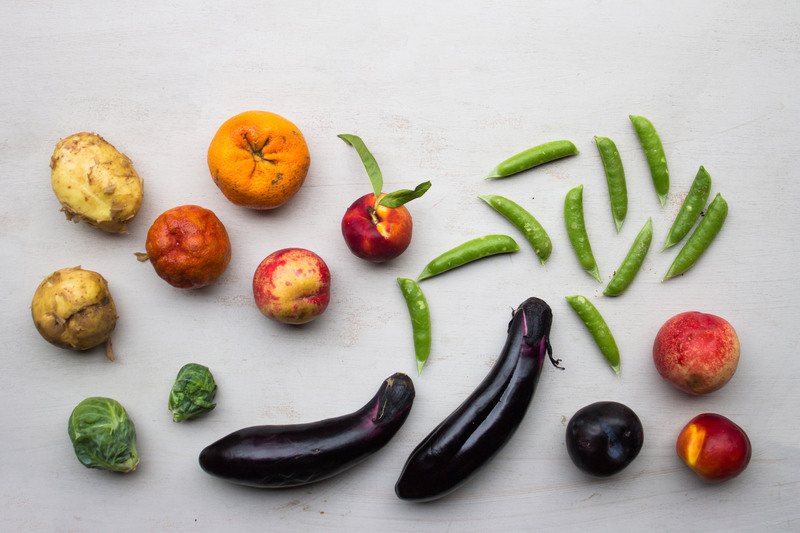 Ugly produce is not the only food waste problem, but it’s a great way to start. Well, by shopping from GrubMarket you’re already off to a great start. We’ve been selling ugly produce for years, long before some other recent companies who sell discounted commercially imported produce. 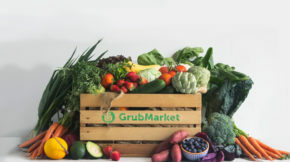 That’s because GrubMarket works with small local farmers and always has. We don’t make a big deal about our ugly produce, probably because it’s so normal here! We love the all-natural beauties that come from our organic and sustainable local farmers, and we always have and always will. But we understand that some of our customers who are new to the healthy, local, organic food world may be surprised by some of our stuff. 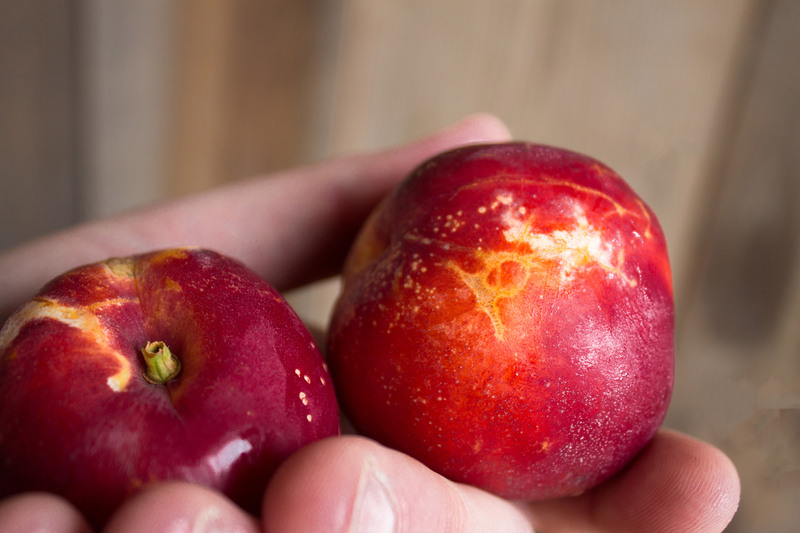 Apples, Nectarines, Plums and other fruits with thin skins are all susceptible to scarring other marks. These are completely natural and don’t affect the taste! In fact, if you don’t see any marks at all, it’s usually a sign that your fruit is a little too perfect, and probably isn’t natural or locally grown. 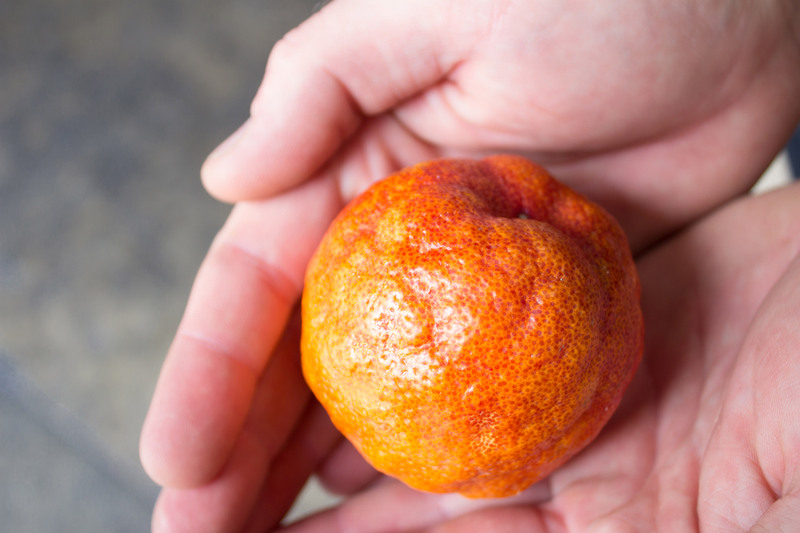 Some citrus fruits like tangelos, mandarins, and tangerines have a tendency to wrinkle. Some people think this means that the fruit is old and rotting when it’s actually the opposite. The more wrinkled and dry the skin looks, the juicer the flesh will be! The wrinkles are a sign that the fruit inside has sucked all the moisture out of the rind and are now perfect! 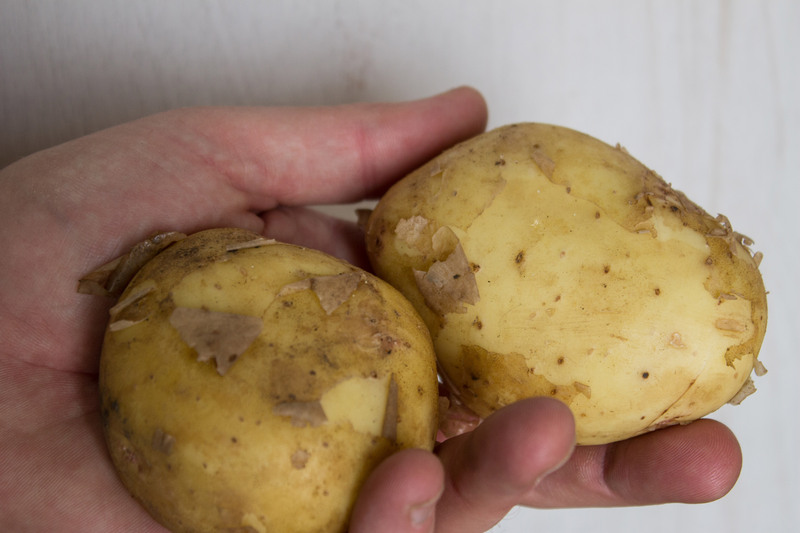 Although it may look like these potatoes have had a really rough night… this is actually how small farm potatoes naturally look! When you take genetic modification and giant machinery out of the picture and work under strictly organic circumstances, layers of their delicate skins are easily sloughed off as they’re dug up through feet of rough dirt. Just like onions, layers can easily be removed without affecting the rest of the veggie. Simply, rinse and scrub and cook as usual. 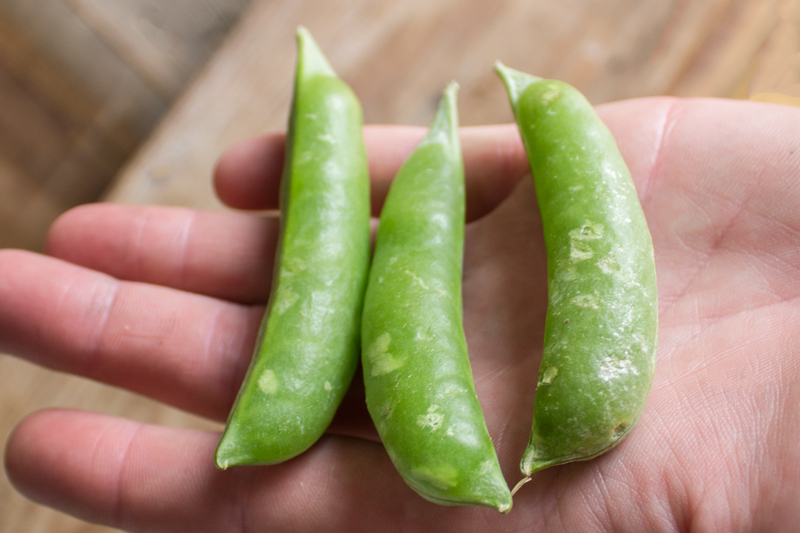 While commercial snap peas may be a perfect uniform bright green, this is actually how they naturally look. Just like freckles on our own skin, these are a natural part of life and are not a symbol of age! Alright, this may not be a natural part of the growing process, but it is an everyday part of the small-farm transport life! 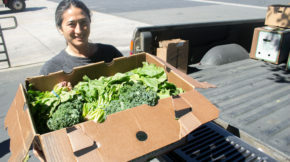 Unlike giant commercial produce companies that spend weeks and weeks, traveling thousands of miles with teams of hundreds of people handling your produce, small farmers have small teams, a few boxes, and arrive to us within 1-3 days of when the produce is picked. Indentations from crates and boxes are a part of the deal, and not a reason to toss perfectly yummy food! 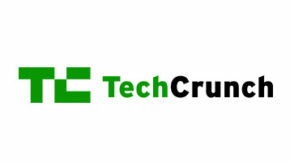 In fact, we think it’s kinda cute! There you are! Now that you’re aware of the ugly produce movement, you’ll start to be more and more aware of how “perfect” commercial produce is, and really how weird and unnatural they are. So join us and love your uglies!